Houston Jet Charter is your best source for private flights to/from Houston and surrounding areas of Texas. Our brokers are available to you 24 hours a day, 7 days a week to assist with all of your private aviation needs. Call one of our brokers or request a jet charter quote and provide us with your trip details. We’ll provide you with a list of aircraft and airport options that will best suit your goals and budget. Houston, a large metropolis in Texas, provides five star hotel options for luxury vacations, getaways, business travel, and special events. The below list of luxury hotels are based on many factors including Houston Jet Charter passenger feedback, location, amenities, and online reviews. Once arriving into the Texas via luxury private jet, our Houston jet charter service brokers can also arrange ground transportation to/from the hotel of your choice, to make your trip hassle-free. The city is famous for the Space Center Houston, the coastal visitor center at NASA’s astronaut training and flight control complex. 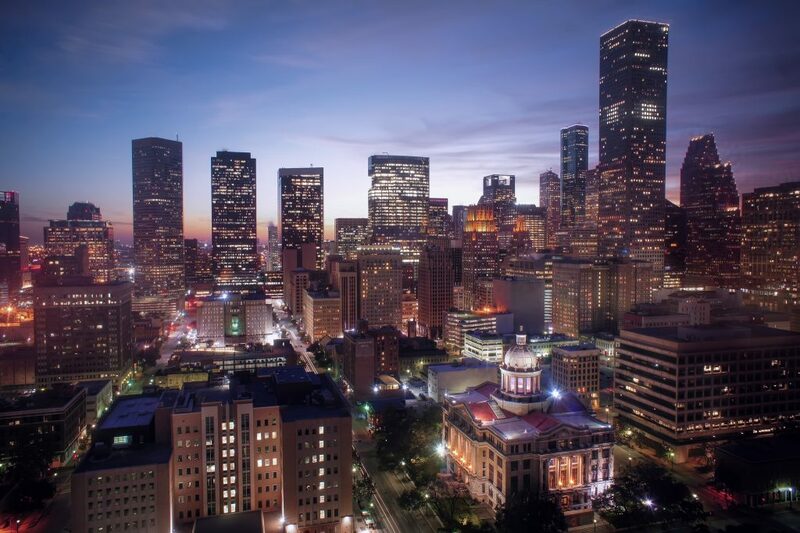 The city’s relatively compact Downtown includes the Theater District, home to the renowned Houston Grand Opera, and the Historic District, with 19th-century architecture and upscale restaurants. Houston provides many leisure activities for vacationers of all ages. Spend time in one of Houston’s many museums, parks, or fine dining restaurants to truly experience the local culture. The ideal time to visit Houston is late spring (May) or early summer (June) when temperatures are more tolerable for touring the city. Houston Jet Charter utilizes the following airport to fly clients privately to/from Houston, Texas and neighboring areas. Request a Quote or give us a call at 1-888-987-5387 to speak with one of our Houston private jet charter service brokers for your next luxury vacation, business trip, or special event.